Tsvetelina is a Bulgarian-German, who is currently living in Vienna, Austria and working at Roche Diabetes Care. 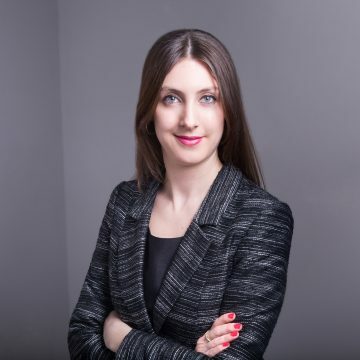 In her role as an International Sales Manager, she has the profit and loss responsibility for 6 countries: Albania, Bulgaria, Kosovo, Macedonia, Montenegro and Serbia. She has around eight years of international experience in Marketing, Commercial Management, Business Controlling and Sales Management in the healthcare industry and an International MBA degree (USA). Tsvetelina is passionate about traveling, exploring new cultures and socializing with people from different backgrounds. Her goal is to make an impact and bring more relief to the people with diabetes by leading with passion and driving the change towards more patient-centric solutions.